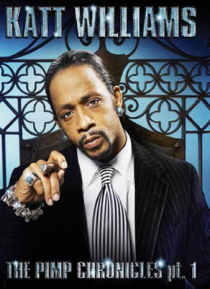 Comedian Katt Williams (aka Money Mike) showcases his laugh out loud comedic talents in his first ever HBO stand-up comedy DVD taped in front of a live audience. A native of Cincinnati, Ohio, Williams worked his way up the comedy club ladder before landing key television and film roles that displayed his flashy, sassy, streetwise style. In this hilarious 60-minute performance filmed at The Atlanta… Civic Center on April 15th, 2006, Williams draws on his own personal experiences and his edgy take on life to bring the house down with laughter!